WHEATON SCHOOLS! Hard-to-find FIVE bedrooms all on the second floor! NEW gorgeous granite counters just installed Feb 2019! 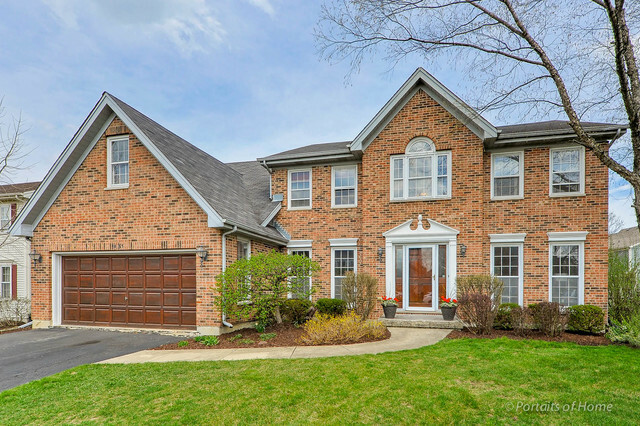 Ideal location in popular Wheaton Ridge Subdivision on quiet low traffic cul-de-sac. Handsome brick front welcomes you into this 3281sf home. Entire home was newly painted in today&apos;s color! First & second levels have new carpet installed March 2018! Generous sized rooms. Floor plan flows into the spacious family room w/ full bayed wall of windows and brick fireplace. First floor office w/ built-in bookshelves. Crazy big master suite w/ Cathedral ceiling, sitting area, fireplace, large walk-in closet and luxury bath. If you needed even more space the full basement is finished w/ huge storage room w shelving. New lighting and faucets. Hot water heater replaced 2015. Rainbow playset & built-in gas grill included. Walk to elementary school. 8min drive to Wheaton or Winfield Metra train station!